This book is a transcription of the proceedings of the "Black Writers Redefine the Struggle: A Tribute to James Baldwin" Conference held on April 22-23, 1988 at the University of Massachusetts-Amherst. The Conference was developed by five-college faculty members involved with black literary studies and would revolve around Chinua Achebe and James Baldwin, both outstanding writers and major cultural figures, who were teaching at the University at the same time: one the prototypical writer of Africa?the other the preeminent living embodiment of the literature of the Black Diaspora. Originally, the conference would assess where black writing, black struggle for full articulation, liberation, and recognition stood at its time and what its prospects and priorities might be. Before the Conference, however, Baldwin succumbed to cancer. The Conference still went on and was retitled as a tribute to James Baldwin and focused on his impact on Black writing. Throughout the Conference are extraordinary readings in several genres and voices by Chinua Achebe, Irma McClaurin-Allen, Andrew Salkey, Michael Thelwell, and John Edgar Wideman. 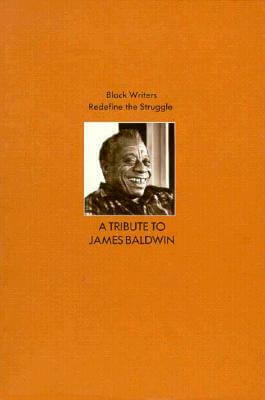 Tell us what do you think about Black Writers Redefine the Struggle: A Tribute to James Baldwin.